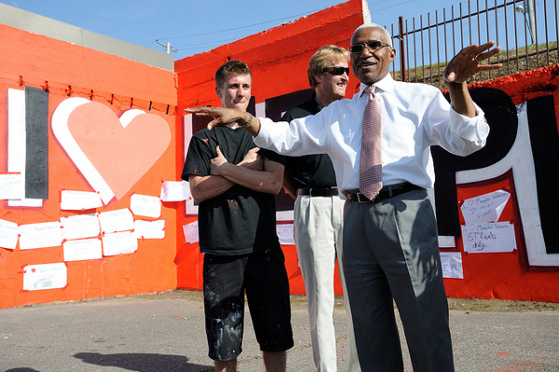 Memphis Mayor AC Wharton. Photo: Joey Miller. This week in Memphis, three of the country’s most interesting urban planners are giving a series of free lectures about the big, smart idea behind the deliberate, data-driven revitalization strategy that has led this city to embrace bike infrastructure. When cities expand horizontally, they trade the immediate increase in revenue that comes along with expansion for the long-term liability of maintaining and servicing the new, far-flung infrastructure. In the short term, this creates an illusion of wealth as everything is brand new and the costs to the local government are minimal. Over time, however, as the maintenance bill comes due, cities find that the spread-out and expensive nature of this pattern of development overwhelms any revenue stream. Instead of building wealth, our post-World War II approach destroys it. None of these passages actually mentions bicycling, even though some of Memphis’s key investments are related to protected bicycle lanes. And that’s exactly the point. 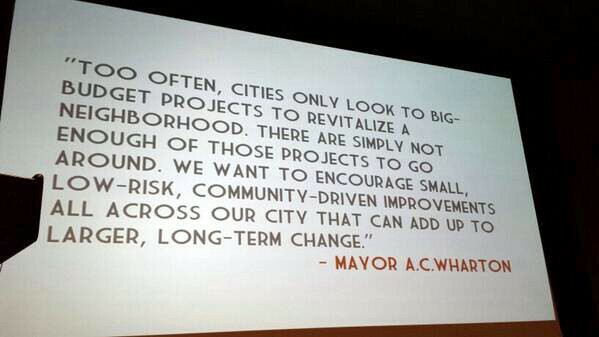 Memphians haven’t come around to bicycle projects because they love bicycles more than anybody else. Memphians have come around to bicycle projects because they love Memphis.